Hayle Carnival! | Crowlas & Ludgvan W.I. 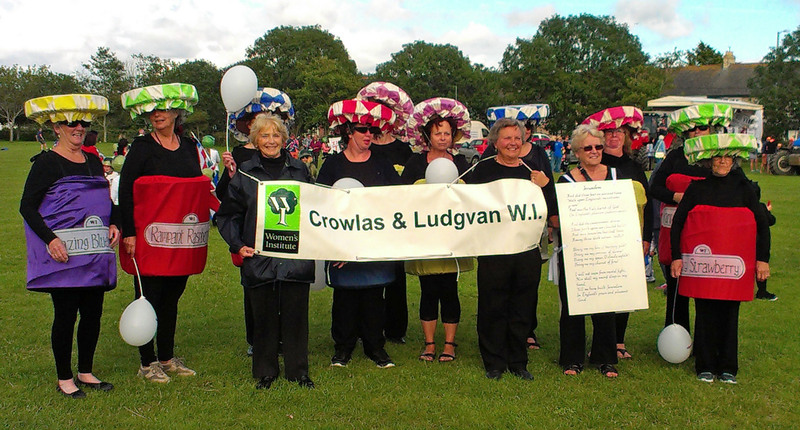 On Saturday evening, a group of spirited Crowlas & Ludgvan WI members finally donned our fabulous jam pot costumes to take part in Hayle Carnival. First came the judging and we were placed second in the Mixed Walking Group category, with a surprise cash prize of £10! Perhaps Julie being hit by seagull poo provided the good luck we needed! 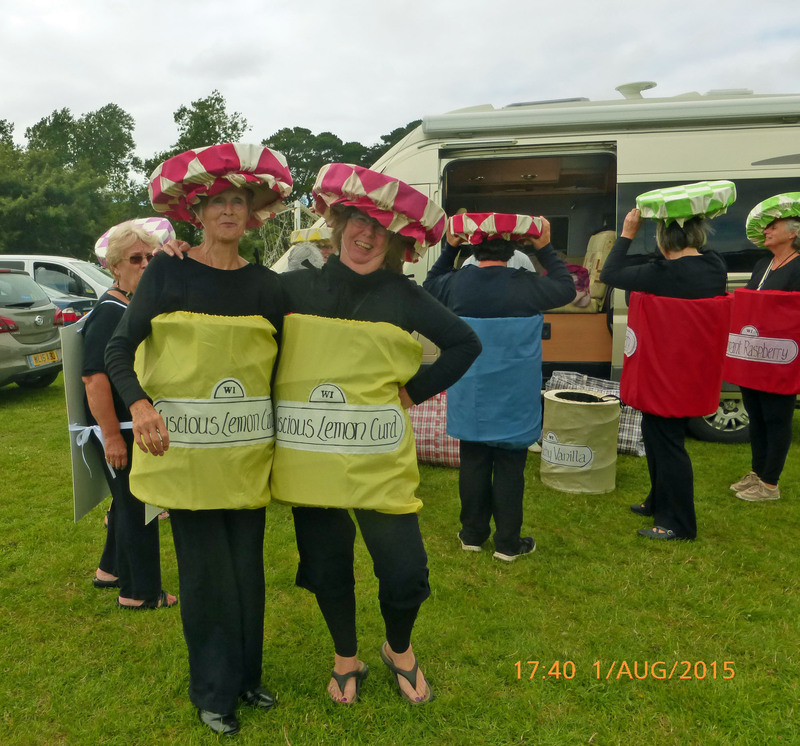 The parade led our jam pots from the Recreation Ground to Foundry Square, around the roundabout and back again. 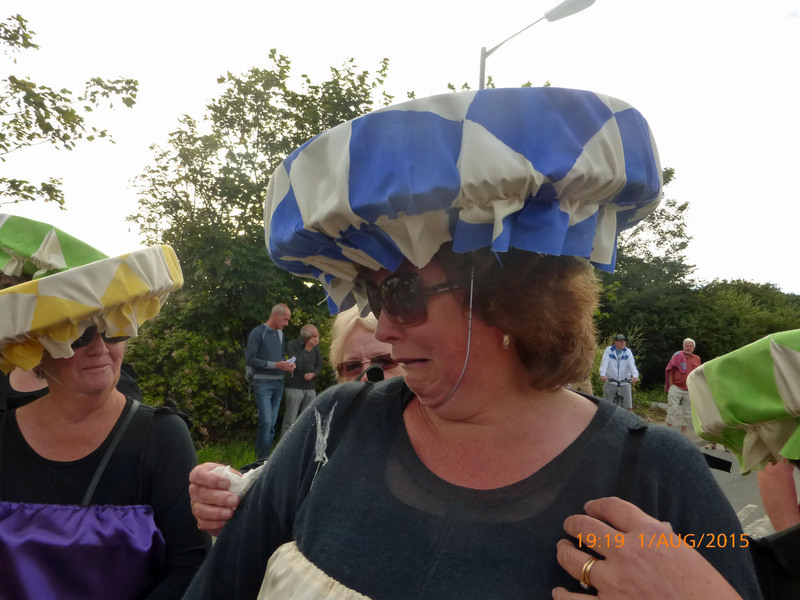 I’m told we made quite an impression on the spectators along the parade route! After returning to the Recreation Ground, our group tossed their ‘lids’ into the air in celebration! Hayle WI was there as well, with a float celebrating 100 years of the WI. Members were dressed in period costume. Congratulations to everyone who participated and in particular to Di and Val for all their hard work in creating our amazing costumes. Fingers crossed for good weather on the 29th, as Marazion Carnival has been rescheduled for that date. Click here to see more photos of the day (thanks to Alison and Sally for the photos!). This entry was posted in Uncategorized and tagged carnivals, Hayle. Bookmark the permalink.